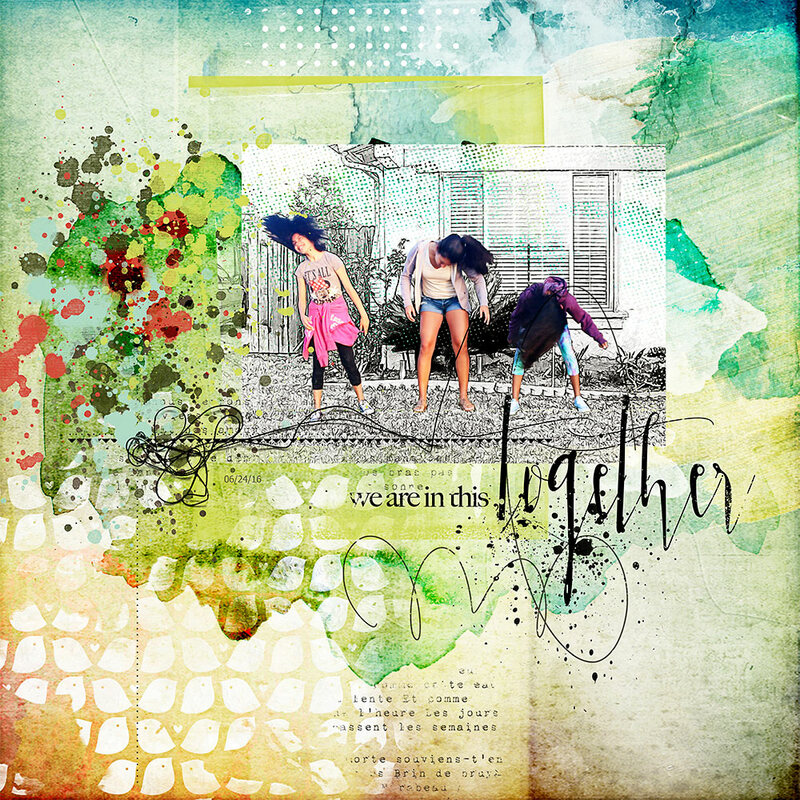 Inspiration by Flor (aka twinsmomflor) Hello, Flor here, I had a blast with Nicole’s Family Story kit as you know Family is very important no matter how and where is your family. 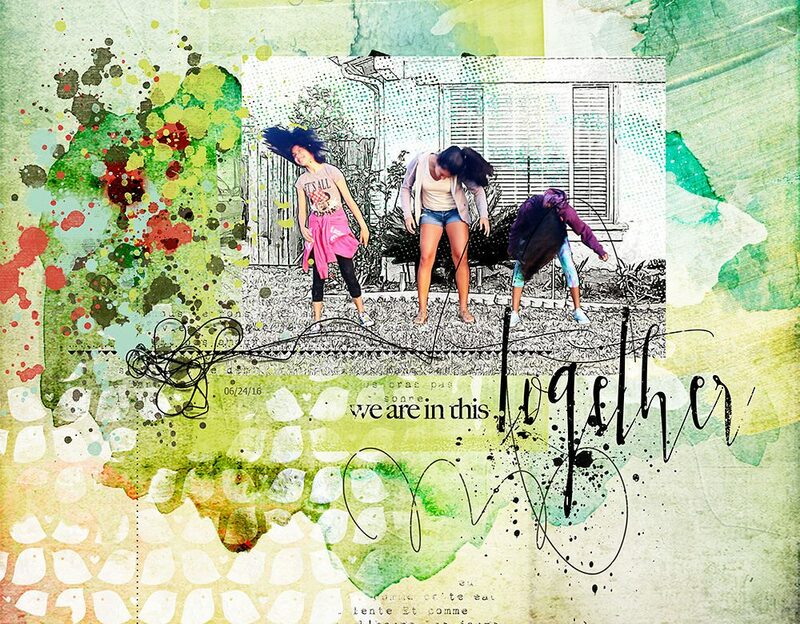 This mini o goal is to celebrate it with vibrant colors, elements and styles that could be used in any other topic. She made perfect blending set of brushtools and softness of watercolor can be found all around. For my layout I started with the photo and use the sketch filter to make it a clipart. I also use another layer of the photo to extract the subjects. I placed an artsy layer. I clipped both photos (the clipart and the extraction) to the layer mask. I add a clip mask to the mask to keep parts of the photo that I would like to keep. I placed some artsy bits elements 1 and 2 to frame the photo (on the top). I placed water color brushes on the back of the photo to give more dimension. I used the blending brushes to the sketch photo. I place one the beautiful wordart.